For this entry I wanted to get back to why I started this blog in the first place—highlighting my favorite vegan products! 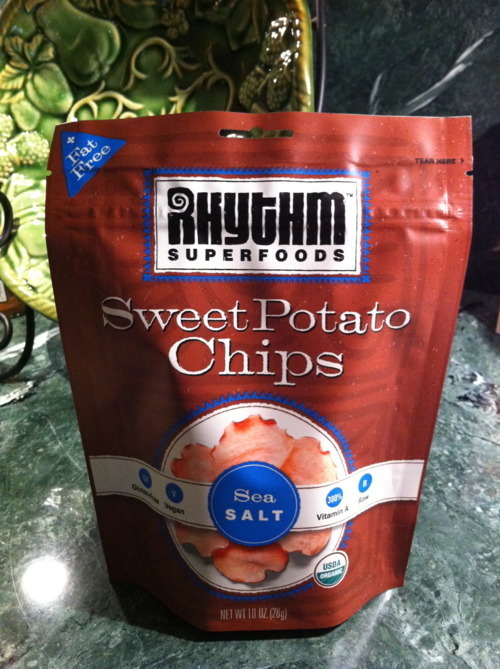 With Thanksgiving coming up, it seemed like an appropriate time to discuss my appreciation for these Sweet Potato Chips by Rhythm Superfoods. Sweet potatoes are considered a superfood as they are full of fiber, Vitamin A, Vitamin C, Vitamin B6, potassium and manganese. Apparently the root veggies also help to stabilize blood sugar, making them a good choice for diabetics. The company uses a dehydration process to make the chips, leaving more of the nutrients and enzymes intact. As you can see they come in a couple of different flavors, however, I am partial to the “sea salt.” The ingredients are pretty simple: organic sweet potato, organic raw cane sugar, organic spices, and sea salt. And get this—one bag is equivalent to only 100 calories! Not that I am suggesting you substitute these for the real deal on Tgiving…but they do make for a great afternoon snack. 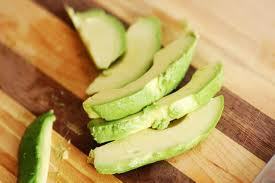 Especially when paired with half an avocado! 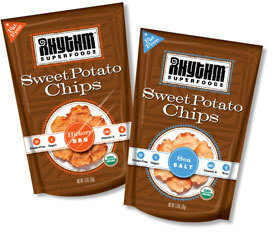 You can find these super chips at Whole Foods or other health specialty retailers.